Due to the mima ito effect I decided to try moristo. I thought it was a spinny pip but it turns out it plays more like a classic pip. my sheet in 2mm felt not very grippy compared to 802, spectol, spectol red and spinpip red. Even on spin test it reacted less than the other pips I got. Is this what others have found or is it just my sheet. This is the 1st time I have tried a raw pip which is vertically aligned all my other pips are horizontal. I use pips on my bh and I was hitting long and blocking into the net a lot. Might need to get use to the angles again or is there a technique change required for vertical aligned pips. Maybe ITO is using the new Moristo SP Ax? viewtopic.php?f=13&t=33677 The Ax version has horizontal pips and can generate plenty of spin. My teamate has used Moristo on backhand. You can get enough spin to play like Ito does. It's easier to hit and block than with Waran. I play with Moristo sp (2.2mm) on backhand too, and yes, it does not have a lot of spin to it. The only other rubber that you are comparing it to that I have played with is Spectol 1.5mm (today actually), and I don't agree that it has less spin than that. I found it nearly impossible to create any real spin with Spectol (not really what it's meant to do either -- I actually really enjoyed playing with it.) As cmugica said, you can definitely generate spin with Moristo. Goodness gracious... that backhand. Though in the last few points it was the forehand crosscourt drive that did most of the damage. 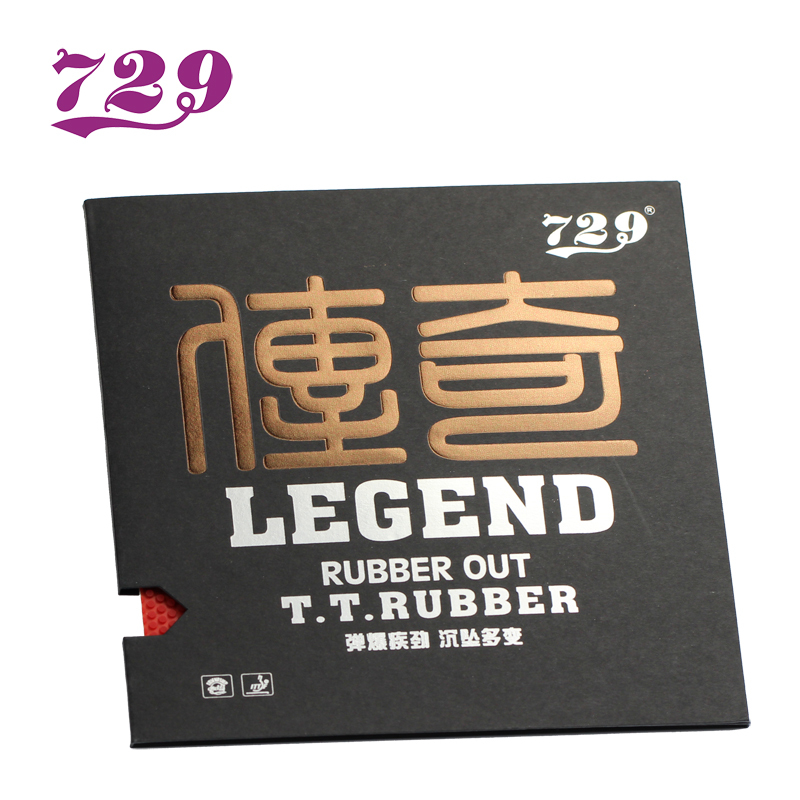 What Chinese rubber would be similar? 802-40? I would hazard the Legend 105 is closest. 802-40 has a much harder topsheet. I didn't find it until I searched for "729 legend". They say it's medium pips, and it's a $15 rubber. Maybe I'll order a sheet. Comes in two different thicknesses and two different sponge hardnesses (looks pretty soft and thin - 36/38 degrees, and 1.7 and 1.9mm). Eacheng does not sell this (it's from Playa) and it's twice the price (~$29). Too expensive to try on a whim. I didn't know they had a gold version. What's the difference? The original is definitely a short pip, not medium. 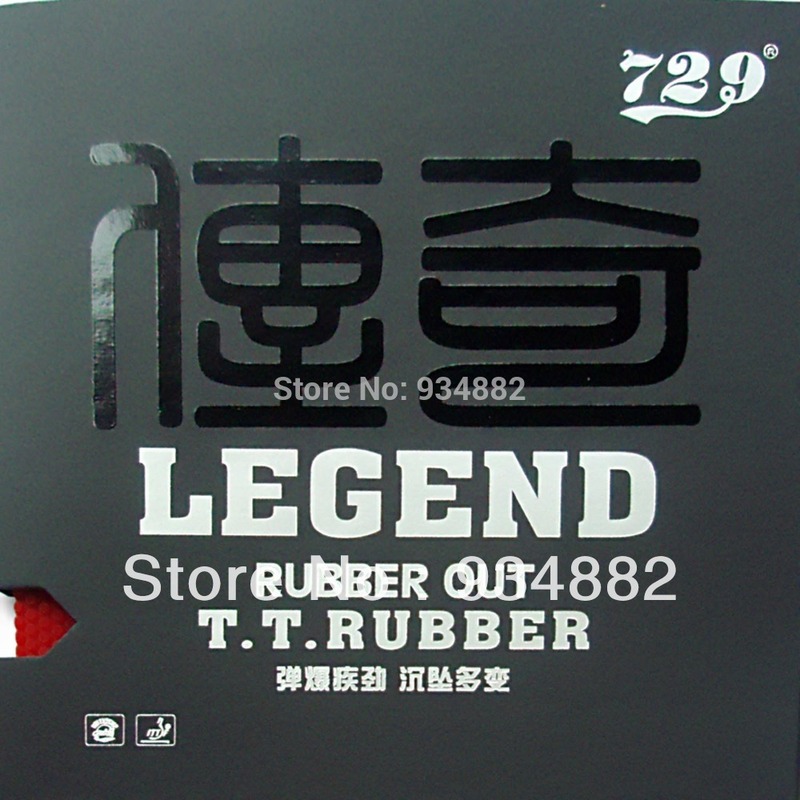 A very soft rubber, a bit too much so for my tastes, but fast (by Chinese standards). The very problematic point is the sponge underlayer. Moristo SP rubber is coupled with German ESN porous sponge, 30 degree by japanese hardness scale. Of all the china-made rubber products, 729 Mistery III porous sponge looks the closest resemblance of the ESN bubbly sponge. I took some excursion all over Ali Express market, and my happy find is the 563 Mistery III, the porous sponge with 40 hardness index. (equal to japanese 30 degree index). And yes, LEGEND 105 looks another candidate quiet worthy for me to try. and look to change something when you got defeated. Ito Mima still goes on winning .... Yes. I've absolutely no idea.. Maybe someone who reads Chinese BBSs could tell us. I do know it costs twice as much. There are all sorts of mystery "upgrade" rubbers out there - for instance, there's a "national version" of MX-P being sold, with the German flag on the front of the package. Which "national" team was it made for? Something I read some time ago claimed it was for the Chinese national team. Who actually uses it? No one in the top 20 as far as I can tell (unless it's Samsonov and I doubt he uses it, since he's not Chinese - unless he buys it off the retailers..). It is, however, medium pips. 105 is also listed as such but might not be.